Picture this: you’re an active military member who is transferred to the Naval Submarine Base in New London. You and your family have to pack up and start a new life in Connecticut. As a member of the military you don’t make a whole lot of money so your spouse works as well. But when you get here you find your spouse has to go through rigorous red tape just to continue working. Or how about this scenario? You have retired from the military in which you worked as an electrician. Now in Connecticut you have to jump through licensing hoops and pay fees to become – you guessed it – an electrician. If it was good enough for the U.S. military, shouldn’t it be good enough for the state of Connecticut? These are some of the hurdles that active and retired military personnel face when coming to the state of Connecticut – red tape and restrictions to do the very same job they were doing in another state or as part of their military service. This should change. Military families have already given enough. They should be afforded the ability to work without having to pay high fees and undergo mandatory schooling to do the same job they were doing in another state. According to Governing Magazine, there are 4,600 active military members in the state of Connecticut. And according to the Department of Veteran’s Affairs, military veterans make up 6 percent of Connecticut’s total population – about 210,000 people. That’s a significant number of people who should be afforded more opportunity here in the state of Connecticut. 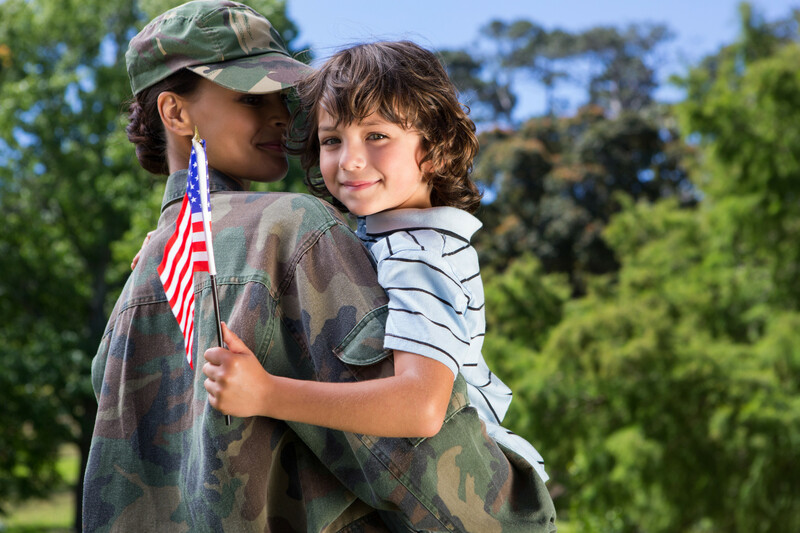 Military families often have to find ways to increase their income through a spouse taking a job and many of these jobs require licensing in Connecticut. Were you a licensed massage therapist in Virginia before your family was transferred to Connecticut? Now, in order to work, you would have to pay $380 to the state of Connecticut to do the same job. State licensing requirements present a barrier to employment. It adds further strain on both people trying to work and consumers, according to a 2016 study by professor Mark Gius, Ph.D, of Quinnipiac University. Connecticut already faces enough issues regarding job creation. We’re at the bottom of the list in terms of job creation nationally and have only regained 77 percent of the jobs lost during the 2008 recession. So things are hard enough for our residents. And they’re even harder for a military family that has been transferred into the state or a veteran who is just trying to get on his or her feet after serving their country. Fortunately, a proposed bill may end some of those restrictions. House Bill 6074 will cut licensing fees in half for veterans and military spouses. Connecticut needs policies that will encourage and support military families and veterans who are trying to make a living here. We know that occupational licensing presents a barrier to employment and raises consumer prices. This is acknowledged on both sides of the political aisle – including former president Barack Obama. So easing restrictions and reforming our licensing requirements would be step in the right direction. Military members, veterans and their families have paid enough already. They shouldn’t have to comply with burdensome red tape just so they can work and live in Connecticut.